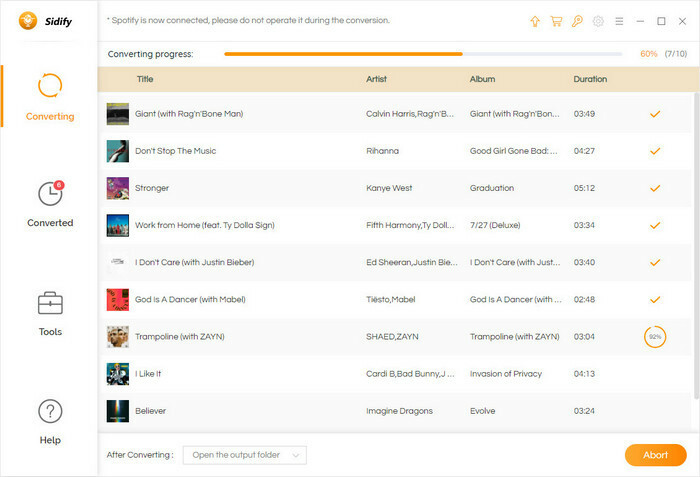 Sidify Music Converter Free is a powerful Spotify music downloader, with which users can free download Spotify tracks or playlists to MP3, AAC, WAV or FLAC for offline enjoying or streaming to other portable devices like iPhone, iPod, Android phones or MP3 player. 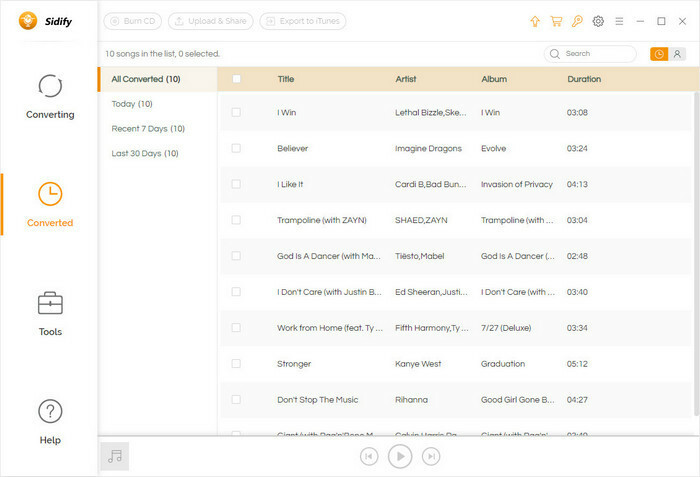 Download and install Sidify Music Converter Free on PC, then launch it. Copy links of Spotify tracks or playlists and click button or "Click Here to Add Audio", then a window will pop out to let you paste the links. Or you can drag Spotify music to Sidify Music Converter Free directly. And you can click button to remove the music you do not want download from Sidify Music Converter Free. After finishing adding Spotify music, click button on the top right corner, here you can set output format (MP3, AAC, WAV or FLAC), output audio quality (320kbps, medium 256kbps, low 128kbps) and output path. After finishing and saving the settings, click "Convert" button to start conversion. After successfully downloading the Spotify music, you can click button to check the downloaded music.